Do you think chewing on a tiny fibre filled candy would leave you feeling full? Given there are no clinical trials out there, your guess is as good as mine, and mine sure isn't confident. "the perfect long- lasting “on the go” treat to keep you on track to make healthier choices"
"Next time you have a sweet tooth or a hunger pang that just won't quit – enjoy a couple Dr. Joey's Skinny Chews"
How long do you think a couple of those will last you? For comparison, wanna know the calories and sugar in an equivalently weighted 12grams of Tootsie Rolls? 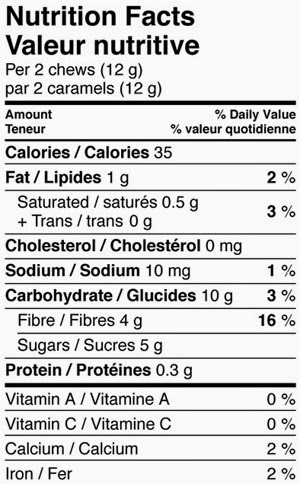 7 more calories, and 0.7g more sugar. 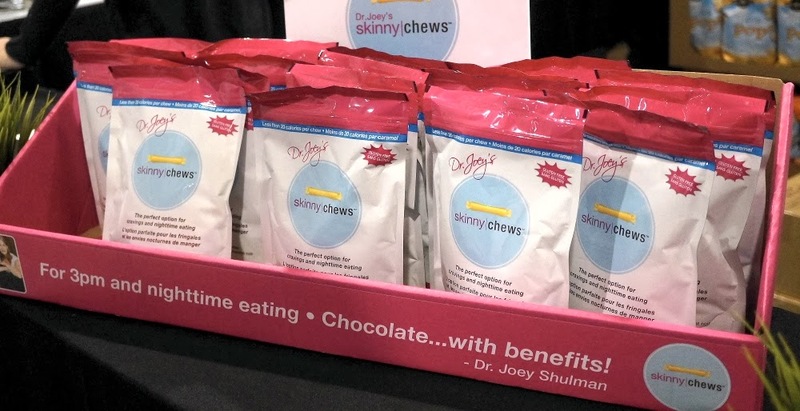 Doesn't seem so exciting to me, but if the fact that Dr. Joey's Skinny Chews truly are an ever so slightly better choice than Tootsie Rolls is exciting to you, please keep in mind that you're not likely to confuse Tootsie Rolls with a healthy between meal snack. 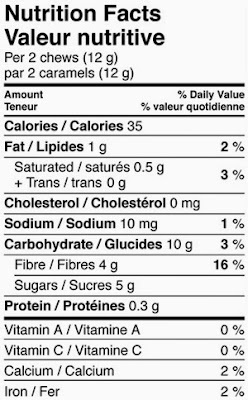 And with nearly 60% of Skinny Chews' calories coming from sugar which in turn is responsible for over 40% of each Chew's actual physical weight, "healthy" seems quite a stretch. "People aren't buying a bag Dragons, they're buying 6 bags"
No real surprise there because who wouldn't be seduced by "Skinny" candy and no doubt, "Chocolate....with benefits" is a way better slogan than, "slightly less sugary candy with inulin". Guess it's a good thing for sales that I wasn't hired as Dr. Joey's marketer.